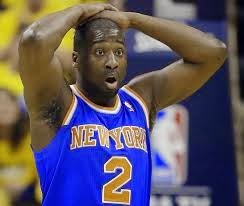 New York Knicks point guard Raymond Felton is nearing a plea deal in his pistol possession case, the Daily News has learned. Felton’s case was called in Manhattan Criminal Court on Thursday — days ahead of its original date — without a courtroom cameo by the hoops star. During the hearing, the prosecutor told Judge Lisa Sokoloff things were headed toward a plea, possibly in time for Felton’s next court date on June 23. “We've been attempting to work out a disposition, and both sides need just a little more time,” Assistant District Attorney Jonathan Rebold said. Rebold said he’s “hopeful” that by the next appearance “we will either have a disposition” or a date for the case to be settled by. It remains to be seen whether the DA will push for jail time under the state’s strict weapons laws or if he will get a break. He currently faces up to seven years behind bars on the top count.